Medical device firm Vascular Dynamics has received CE mark approval for its MobiusHD system to treat resistant hypertension. MobiusHD is a passive implant delivered using standard percutaneous techniques, which amplifies the signaling measured by the baroreceptors in the wall of the carotid sinus. 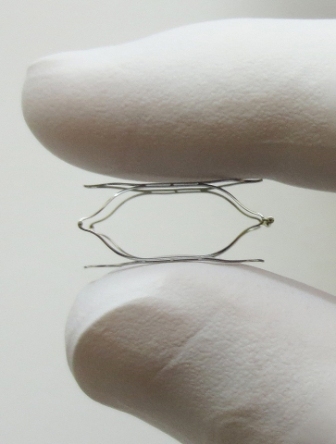 The implant has been developed to amplify the signals received by the surrounding arterial baroreceptors, and thereby amplify the body’s natural response to lower blood pressure through vasodilation. The company is carrying out the prospective, open-label, controlled and multicenter controlling and lowering blood pressure with the MobiusHD study (CALM) in the US and Europe. According to the company, the primary endpoint of the trial is safety at six months following the procedure. Patients recruited in the trial have systolic blood pressure of 160mmHg or greater, and are taking three or more prescription antihypertensives medicines, including a diuretic. The firm has prescreened the trial’s patients with Doppler ultrasound and coronary computed tomography angiogram (CTA) or magnetic resonance angiogram (MRA). Vascular Dynamics president and CEO Robert Stern said: "Receiving CE mark approval for the treatment of resistant hypertension is a major milestone for our company as we validate our novel solution for the millions of people whose hypertension is not adequately controlled by drugs. "Initial results suggest significant improvement in the average blood pressure readings post barostenting procedure in our ongoing CALM first-in-human clinical trials in the US and EU and we are progressing toward the filing of our International Pivotal study to support our US FDA approval." Image: Vascular Dynamics’ MobiusHD implant. Photo: courtesy of Business Wire.